I decided to take a little break from eyelets to start something small - May Word Play. 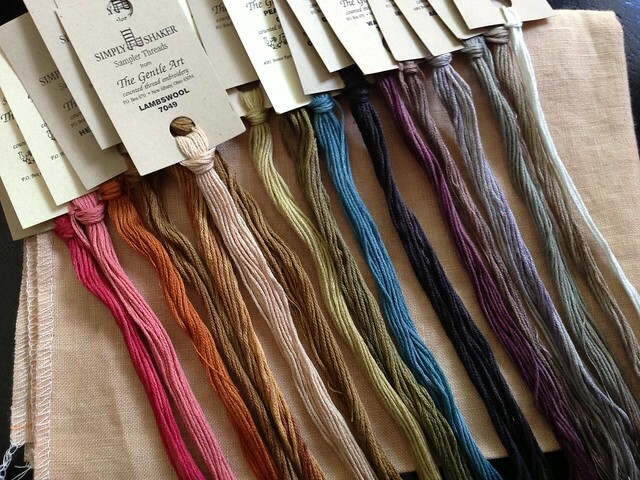 Here are the beautiful threads on the linen. Today, I let the boys play hooky and I took them up to Myrtle Beach to see their grandma and great aunt and to swim in the hotel/condo pool. Check out this view! It was a beautiful day, but very hot! Thankfully, there were some indoor pools too! 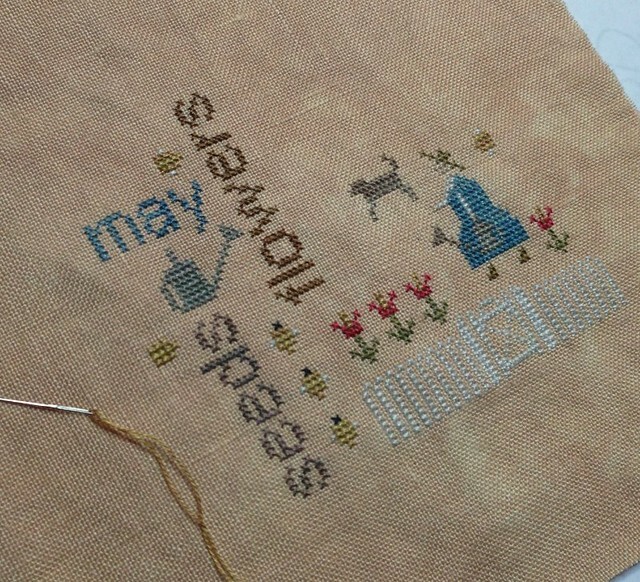 I hope to get the May Word Play finished up soon and then get started on June (and get back to those eyelets too)! 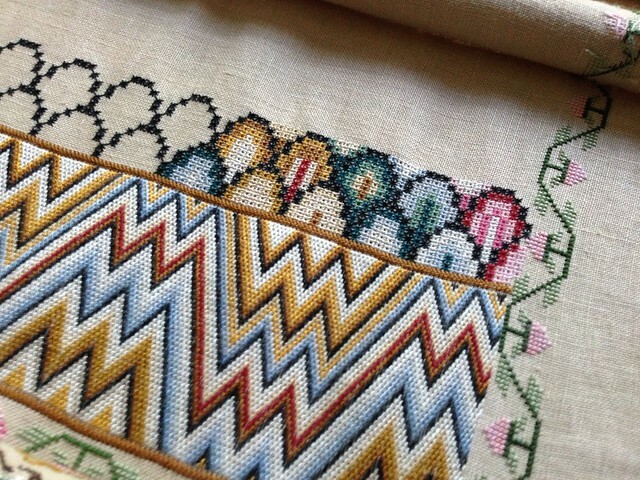 Beautiful stitches!! How fun to have a special play day!! Looking good!!!!!! I know the guys enjoyed the beach!!!!!! 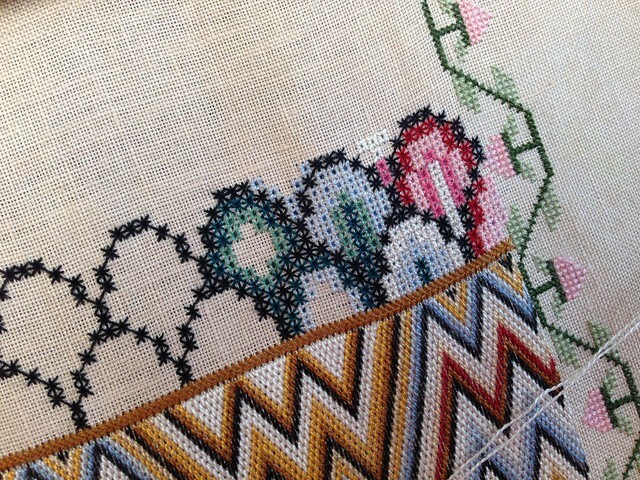 I love eyelet stitches...yours are lovely as usual. Great day to play at the beach! Your Dorothy is gorgeous! So gorgeous. Sigh. Your May Wordplay is pretty too -- such nice colors! 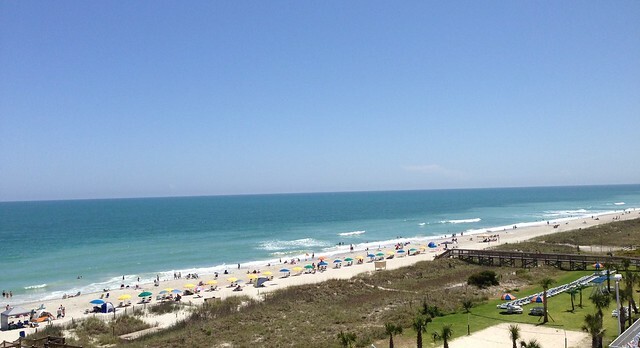 Fun Myrtle Beach pics! Gorgeous pics!!!!!! I love when you have a blog update...it is serious eye candy every time!!!!!! Hope you have a great weekend and get some eyelets done! Beautiful stitching and wow! what a view. Dorothy is beautiful, her colors re so vibrant! Great start on Word Play... Gotta love a day spent at the beach. Look forward to meeting you at the PALS retreat this year. Your Dorothy so pretty! There are a lot of eyelets! Glad you and the boys got to spend such a beautiful day at the beach! Pretty eyelets - and lots of 'em! Aren't the Word Plays just fun? Ah...beach days... a lovely thought as I sit here with a shawl wrapped around since it's FREEZING in my office today! Lovely stitches, and beautiful photos of the beach! Great progress on the eyelets. The colours in May wordplay are very pretty. Your photos of the beach made me wish I was there. Too much fun, love the Word Play and Dorothy is so pretty. Dorothy is looking lovely. A great start on the word play piece too. What a gorgeous beach. Looking great Nicole - Pecan Butter is one of my favorite Lakeside Linens. I have bought all the Wordplays and fibers but not had time to start one yet. They are so cute, wonder how you plan on finishing yours. omigoodnes.....I wanna be on that beach!!!!! !